Tiger’s Eye Golf Links is another dazzling beach golf course design by Master Architect Tim Cate. 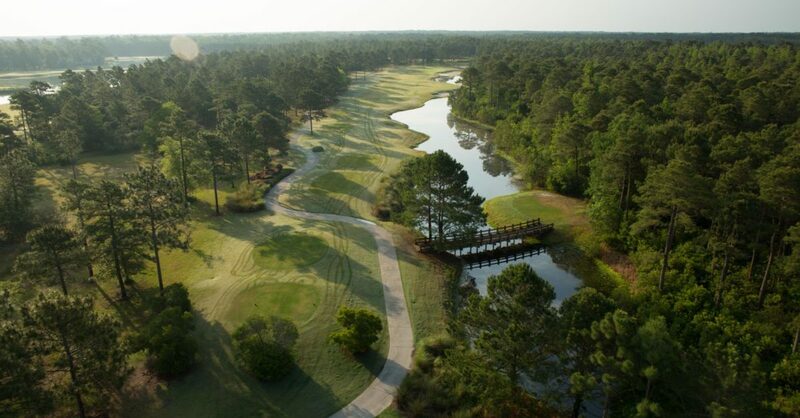 Opened in 2000 with 18 unforgettable holes, this big cat near Myrtle Beach, SC is tough to tame featuring 60 foot elevation changes, undulating fairways, sparkling lakes and a stunning par three island green. In September of 2017, the course installed brand new Tif Eagle Bermuda greens, similar to the type found at TPC Sawgrass in Florida. The layout features generous, and well-manicured TiftSport Bermuda fairways. Fescue and carpetgrass line each fairway in the secondary rough.